Fourth article in series on building games, that are easy to maintain. This time how to manage different sponsor APIs in easy way. If you are publishing your game with multiple sponsors, than you know, that almost every sponsor company has its own API. These APIs are usually very different. Our today target is to build new library, that will help us to manage these differences. It will also keep most of the sponsor stuff separated from game. Also, we want to implement every sponsor API only once for all games we may publish with such sponsor. From now on, our game will always have to have some sponsor. Enum eSponsorID lists all sponsors for which we have implementation. Sponsor NONE will be empty sponsor in case we do not want to use any specific sponsor. SBC_GAMES is fictitious sponsor, we will use in this tutorial. By the way, creating fictitious sponsors has sense in some cases. I did so, for example, when I needed to create CORDOVA version of game with Heyzap ads mediation. You will add to this list every new sponsor API you implement. This defines basic set of features every sponsor has. Currently it looks more like properties than features, but we will extend it on game side with game specific properties like: “show sponsor logo”, “enable achievements”, etc. Important property is hasConfig. Currently, our game has file config.json in assets folder (read part 2 of series). This config can override various settings in App.Config class and game can be configured without recompilation. If sponsor has config (hasConfig = true), game will look into assets/sponsor folder for file name.json, where name is name defined in sponsor features, for additional config. With settings in it, you can override settings loaded from config.json. Let’s say our fictitious sponsor SBC_GAMES has name defined like “sbc_games” and hasConfig is set to true. Game will look for file “assets/sponsor/sbc_games.json”. Default config.json is loaded always, but sponsor specific config is loaded after it and can change some values. We will get to this later, now just create empty sponsor folder in assets. First, we are creating ISponsor interface. While sponsor APIs are very different, they have something common. Almost every sponsor wants you to report game start and game end as well as ask for an ad from time to time in right moment. Many sponsors also want you to send score or level or other data when player dies. ISponsor defines basic interface for these methods. All methods take various number and types of parameters to provide enough flexibility. Also notice, that all methods return Promise and and implementation has keyword async in method signature. We are preparing ahead for sponsors, that want you to wait for some asynchronous response before game can continue. Second, we define abstract Sponsor class. Its main purpose is to provide empty implementation for ISponsor interface. Specific sponsor will override this basic implementation. Default implementation only sends debug string to console log. Beside this, class constructor takes set of sponsor features and has some getters and setters to access it. It will also keep reference to game. 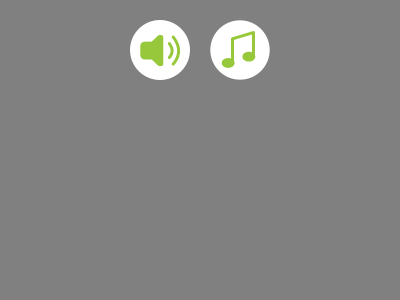 This will be convenient as some sponsors require you for example to pause sound when video ad is playing. As last thing, instance of sponsor class is accessible from game through call to static getter “instance” like this: Sponsor.Sponsor.instance (first Sponsor is namespace, second is class name). Currently, it does nothing. It is OK for sponsor NONE. For Sponsor SBC_GAMES, we will add some example implementation in next part of tutorial. This will remove errors from Sponsor class. As you can see, we do not have to write Sponsor.Sponsor.instance in game, when we need to get instance of sponsor class. Instead, we can write just Sponsor.api. Beside this, we can check whether sponsor has some feature or not and if it is boolean, we can ask if it is on or off. // are features for sponsor in list? This method will return correct SponsorFeatures object and its added value is checking, whether requested object exist. If not, it throws error and makes finding bugs or typos easier. 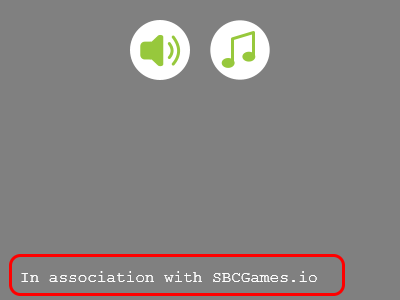 "SPONSOR_ASSOCIATION": "In association with SBCGames.io"
This is key place, where you are selecting sponsor! Now we are compiling our game for sponsor NONE. If we change sponsor to Sponsor.eSponsorID.SBG_GAMES and recompile it, it will be ready for SBCGames. Keep sponsor NONE for now and make further changes to launch() method. On top, we create right instance of Sponsor class, based on selected sponsor. Remember we have implementation for each sponsor in sponsor library. Here we are passing only sponsor features into constructor, but it is common, that some sponsors also assign you some game id you have to use during initialization. After loading main game config, we newly load sponsor specific config (only if “hasConfig” in sponsor features is set to true). In the end, after we create game instance, we simply store reference to game into sponsor instance. SPONSOR_ASSOCIATION value was loaded from sponsor specific config file. In first part of managing sponsor APIs we put solid base we will use in part 2. We can now load sponsor specific configuration files and define specific sponsor features. We can switch sponsors with change of single line. In second part we will explore more capabilities of our sponsor library. Target is to move sponsor specific stuff out of game as much as possible, so game only says: “Hey, I am starting” and sponsor specific implementation is responsible for handling it. As usually, all code is available on GitHub.